The Runtime Broker is a Windows process that helps manage app permissions on your PC. It normal circumstances, this tool shouldn’t use more than a few MB of memory, but in some cases the Runtime Broker uses even 1GB of RAM or more. Such unusual CPU usage affects the processor’s performance and, in time, it can shorten its lifespan. In the majority of cases, the Runtime Broker uses too much RAM due to a faulty app. If your Runtime Broker causes high CPU usage, try out the workarounds listed below to fix this issue. Runtime Broker high CPU usage on Windows 10, how to fix it? 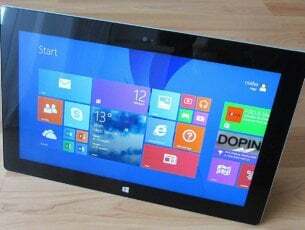 Runtime Broker high disk usage, memory, RAM – This process can negatively impact your performance, but in order to fix the issue, you just have to disable certain Windows features. Runtime Broker error – Sometimes Runtime Broker errors can appear on your PC. This is usually caused by your antivirus, but you can fix that issue by changing your antivirus settings. Runtime Broker multiple instances – If multiple instances of Runtime Broker appear on your PC, be sure to end all processes from Task Manager and the issue will be resolved. 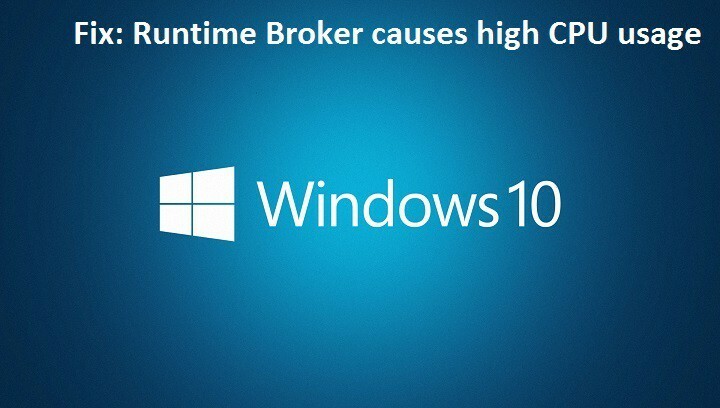 Runtime Broker keeps running – Sometimes this process can keep running on your PC and negatively impact your performance. To fix that, simply change your Windows Update settings and the issue will be resolved. Sometimes your antivirus can cause problems with Runtime Broker and lead to issues with high CPU usage. To fix this problem, we advise you to disable certain antivirus features and check if that helps. If the problem is still present, you might have to disable your antivirus or even uninstall it. If removing the antivirus solves the problem, perhaps this is a good time to consider switching to a different antivirus. There are many great antivirus tools on the market, but if you’re looking for an antivirus that won’t interfere with your system, you should definitely try out Bitdefender. 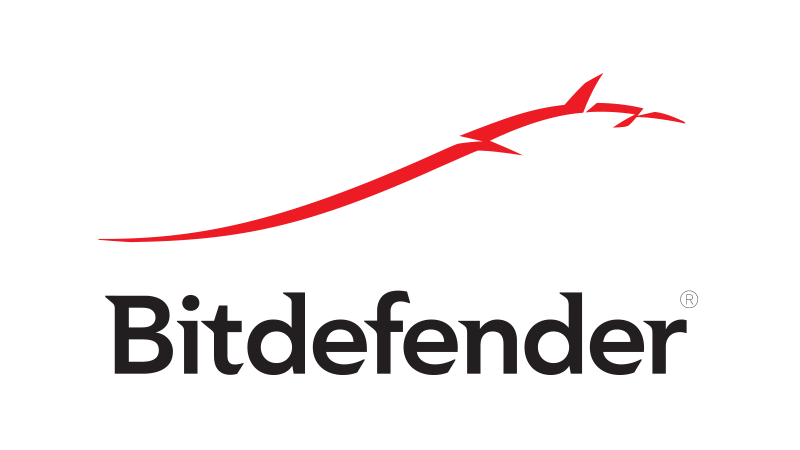 Bitdefender has lots of improvements in its newest version. Now you have a better Auto Pilot user experience, you have an extra-protection layer that encrypts immediately every file that is threatened by malicious programs and a great optimization. If you think about an antivirus, we strongly recommend you Bitdefender, best security solution in the world. Now locate Runtime Broker process on the list. 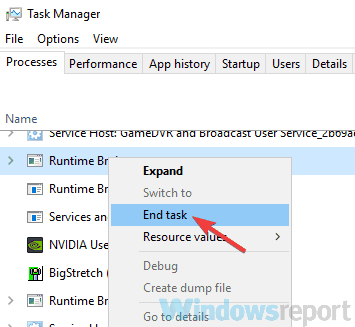 Right-click it and choose End task from the menu. After disabling all Runtime Broker processes, check if the problem is still there. Keep in mind that this might be just a temporary workaround, but you might want to try it out. Change Start=dword:00000003 to dword:00000004. However, this action affects parts of Cortana’s reminders. After making these changes, check if the problem with high CPU usage is resolved. Open the Settings app. The quickest way to do that is to use Windows Key + I shortcut. When the Settings app opens, head over to the System section. Now choose Notifications & actions from the left pane. In the right pane, locate and disable Get tips, tricks and suggestions as you use Windows. After doing that, the issue with Runtime Broker and high CPU usage should be resolved. ew users reported that Runtime Broker high CPU usage issue is caused by your lock screen background. It seems that slideshow background on your lockscreen is causing this problem, and to fix this issue, you need to disable it and switch to a single picture. 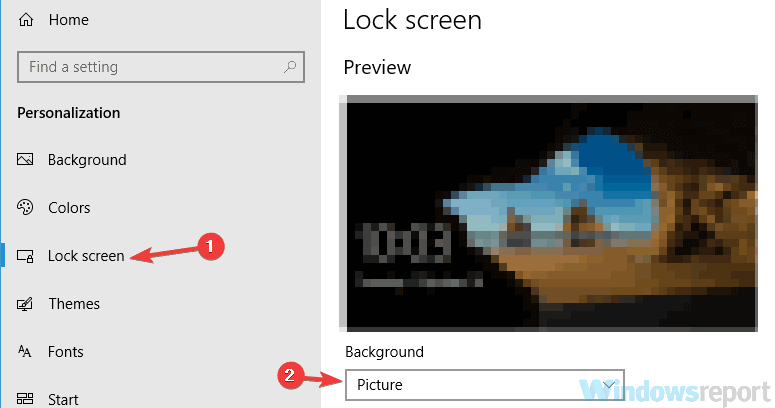 Go to the Lock screen section in the left pane. In the right pane, set Background to Picture. After doing that, the issue with Runtime Broker should be completely resolved. In the right pane, click Advanced options. Scroll all the way down and click on Delivery Optimization. 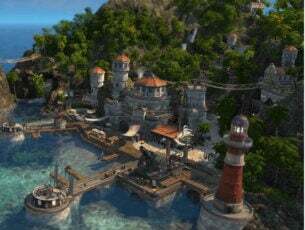 Locate Allow downloads from other PCs option and disable it. After turning this feature off, you won’t download updates from other PCs, instead you’ll download them only and directly from Microsoft. By turning this feature off the problem with Runtime Broker should be resolved. Open the Settings app and go to the Privacy section. Navigate to the Background apps in the left pane. 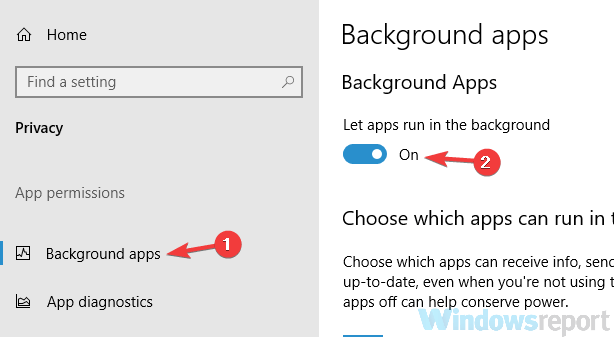 In the right pane, disable Let apps run in the background option. After disabling this feature, the problem with high CPU usage should be resolved. Keep in mind that by disabling this feature you might miss certain notifications from Universal apps. If you’re having problems with high CPU usage, the problem might be Groove Music app. Several users reported that this application is responsible for Runtime Broker high CPU usage, and in order to fix this problem, you need to remove it. In the Search bar, enter powershell. 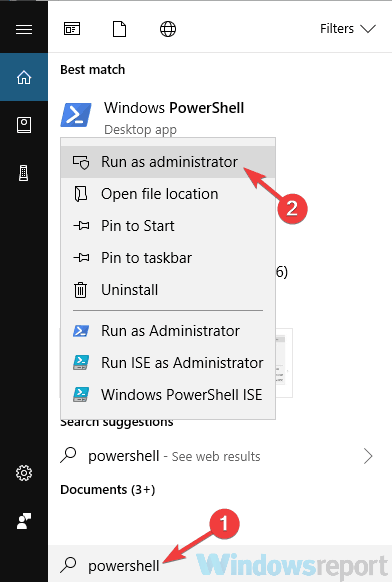 From the list of results right-click Windows PowerShell and choose Run as administrator. After removing Groove Music, check if the problem is still there. Open Command Prompt as administrator. To do that, press Windows Key + X and choose Command Prompt (Admin) from the list. If Command Prompt isn’t available, you can use PowerShell (Admin). 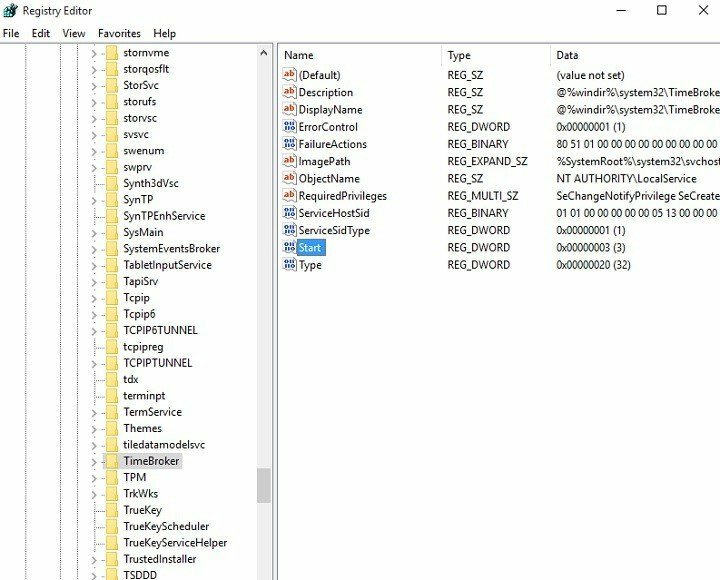 Type the command taskkill /f /im OneDrive.exe to end all OneDrive processes. 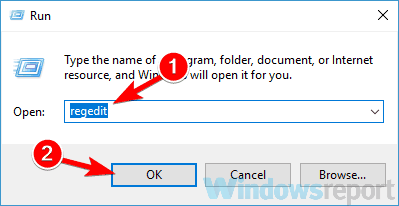 Type the command %SystemRoot%System32OneDriveSetup.exe /uninstall for 32-bit Windows or %SystemRoot%SysWOW64OneDriveSetup.exe /uninstall for 64-bit Windows to uninstall OneDrive. After removing OneDrive from your PC, check if the problem with Runtime Broker and high CPU usage is still there. 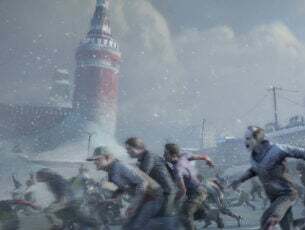 Problems with Runtime Broker and high CPU can cause many problems, such as reduced performance, but we hope you managed to solve this issue using the solutions from this article.